It's common knowledge that about half of all merger and acquisition (M&A) transactions destroy value for the buyer's shareholders, and about three-quarters fall short of the expectations prevailing at the time the deal is announced. In Deals from Hell, Robert Bruner, one of the foremost thinkers and educators in this field, uncovers the real reasons for these mishaps by taking a closer look at twelve specific instances of M&A failure. Through these real-world examples, he shows readers what went wrong and why, and converts these examples into cautionary tales for executives who need to know how they can successfully navigate their own M&A deals. These page-turning business narratives in M&A failure provide much-needed guidance in this area of business. By addressing the key factors to M&A success and failure, this comprehensive guide illustrates the best ways to analyze, design, and implement M&A deals. 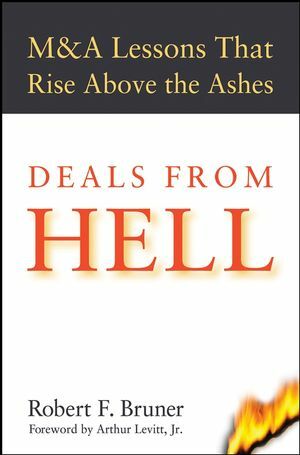 Filled with in-depth insights, expert advice, and valuable lessons gleaned from other M&A transactions, Deals from Hell helps readers avoid the common pitfalls associated with this field and presents them with a clear framework for thinking about how to make any M&A transaction a success. ROBERT F. BRUNER is Distinguished Professor of Business Administration at the Darden Graduate School of Business Administration, University of Virginia. He teaches the course "Mergers and Acquisitions" in Darden's MBA program, and is the faculty director of Darden's executive education program, "Mergers and Acquisitions." Bruner is the author or coauthor of over 400 case studies and notes, as well as Case Studies in Finance: Managing for Corporate Value Creation—now in its fourth edition. His latest book, Applied Mergers and Acquisitions, was recently published by Wiley. Bruner has served as a consultant to over twenty corporations and the U.S. Government, and prior to his academic career, he worked as a commercial banker and venture capitalist. Bruner holds a BA from Yale University, and an MBA and DBA from Harvard University. Foreword by Arthur Levitt, Jr. I. The Foundations of M&A Failure. 2. Where M&A Pays and Where It Strays:A Survey of Research. 3. Profiling the Outlying M&A Deals. 4. Real Disasters and M&A Failure. II. Case Studies of M&A Failure. 5. February 1968: Merger of the Pennsylvania and New York Central Railroads. 6. December 1986: The Leveraged Buyout of Revco Drug Stores. 7. September 1989: The Acquisition of Columbia Pictures by Sony Corporation. 8. September 1991: The Acquisition of NCR Corporation by AT&T Corporation. 9. December 1993: Renault’s Proposed Merger with Volvo. 10. December 1994: The Acquisition of Snapple by Quaker Oats. 11. May 1999: Mattel’s Acquisition of The Learning Company. 12. January 2001: Merger of AOL and Time Warner. 13. December 2001: Dynegy’s Proposed Merger with Enron. 14. January 2002: Acquisition Program of Tyco International. III. Avoiding the Deal from Hell. 16. Memo to the CEO:A Coda on Growth. 1. 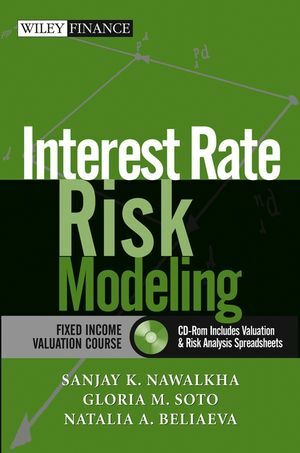 The author is the Distinguished Professor of Business Administration at the Darden School at the University of Virginia. 2. Mergers and acquisitions is a perennial hot topic that all business students need to know. Bruner makes M&A as a subject accessible and engaging to all levels of business students.